The generous dimensions of our 370 Sundancer make it exceptionally adept at cruising and entertaining, and an extensive list of sterndrives or inboards, gas or diesel, lets you choose your preferred power. 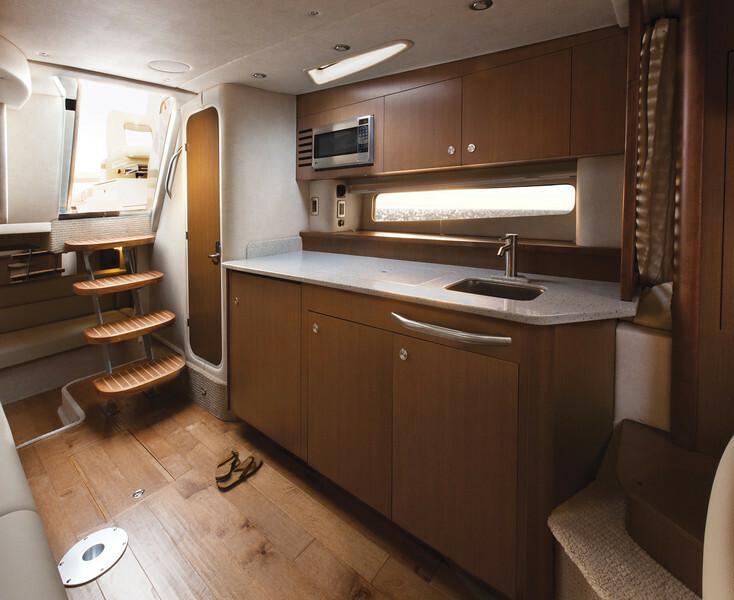 A roomy interior with island V-berth, mid-berth (or optional private stateroom) and convertible salon sofa can sleep six. Plus, powered with Twin Diesel Yanmar means fuel economy and low maintenance costs. Willing to live more, experience more during the weekends?. 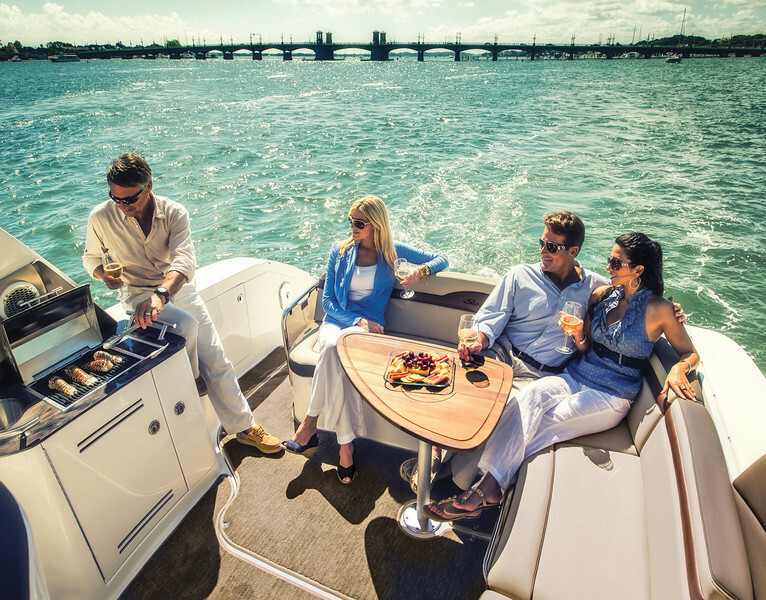 Do it in style with Sea Ray & Red Dolphins Marine, the winning team. 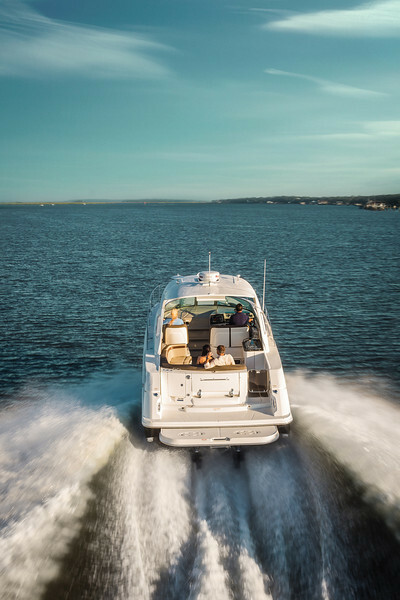 Your purchase is protected by the Sea Ray -best in class- warranty and our exclusive FREE preventive service program for 18 months including: Digital scanning, Travel, US Certified technicians, and all original lubes, filters for both engines, and grease.